AUSTRALIA’S biggest developer of apartments, Meriton, is buying a site overlooking the beach in Surfers Paradise and might use it for the Gold Coast’s highest apartments. The site close to 4000sqm on the Esplanade near Cavill Avenue, will be used for a tower that will include serviced and residential apartments and penthouses. Meriton yesterday said the site had no restrictions on height and it was contemplating a skyscraper of 90 storeys or more. The site will be cleared after Meriton takes possession in March. Meriton founder Harry Triguboff yesterday said that the site was being bought on the back of Meriton’s success with its Brighton on Broadwater project in Southport. “We believe the Queensland market is strong and that prices will rise further. Mr Triguboff said the purchase of The Esplanade site would enable the group to complete its portfolio of Queensland serviced apartments. Meriton Serviced Apartments, Australia’s biggest owner of hotel suites, has two properties in Brisbane and two on the Gold Coast. Mr Triguboff said the Surfers Paradise tower would fill in the Gold Coast ‘bookends’. 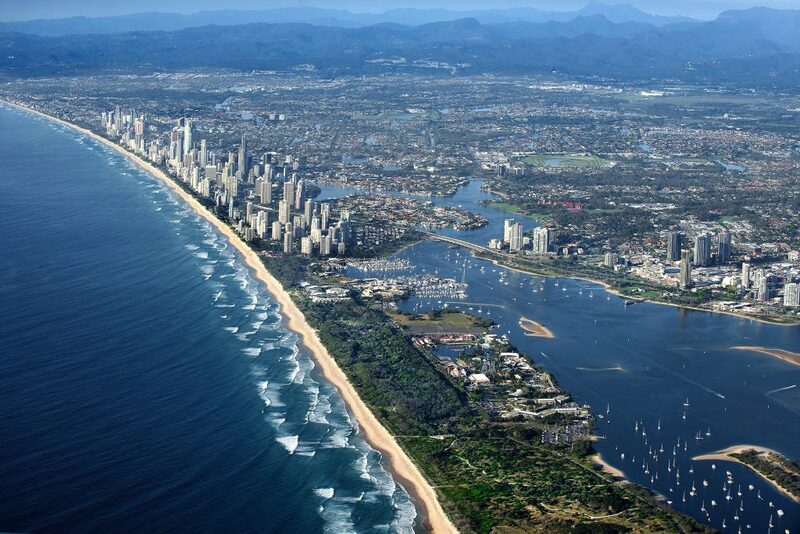 “We already have serviced apartments north in Southport and south in Broadbeach and they are very robust performers. “The new tower will be the icing on our serviced apartments business on the Gold Coast. “And the apartments and penthouses that will sit above the serviced suites will be the best we’ve built in our 35 years on the Gold Coast. 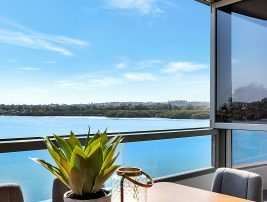 “A site like the one we are buying directly across the road from the beach and a stroll from the heart of Surfers and the light-rail system, is blue chip and deserves a standout project. 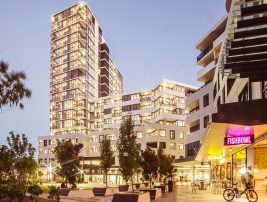 Meriton will complete Sundale, the final stage of its 1600-apartment Brighton on Broadwater community in Southport, in December and will move its construction team on to the Surfers Paradise project. The deal was brokered by Roland Evans from Canford Property Group and Meriton Group Acquisitions Manager Angelo Mantsis. Join our mailing list to receive invitations to exclusive pre-sale releases for new developments, keep up to date on the latest news on current Meriton developments, or keep informed our special finance offers and investment opportunities. To submit an enquiry about news, please fill in the form below.